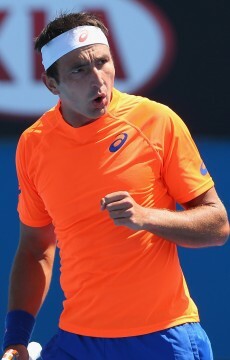 New Aussie No.1 Marinko Matosevic chats to tennis.com.au about his breakthrough season in 2012, and how his hopes are high for even better things to come in 2013. 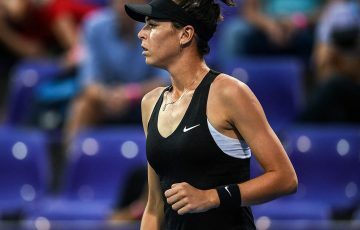 You know it’s been a very good season when your peers – the players baying for your blood each week in the cut-throat world of professional tennis – officially recognise it as such. But that’s exactly what happened for Marinko Matosevic recently, with the ATP playing group voting the Australian as the tour’s Most Improved Player of the Year in 2012. That improvement involved the Bosnian-born Victorian vaulting from outside the world’s top 200 in January to crack the top 50 in October, a stunning rise attributed to hard work off the court and a stronger mentality on it. And it came at the opportune time – the 27-year-old said that had he not made significant ranking improvements this past season, he would have walked away from the sport. “(The goal was) to at least finish the year inside the top 100. If not I was probably going to quit,” he revealed. The most improved player honour is just one is an increasingly long list of accolades being heaped on Matosevic after a banner season. 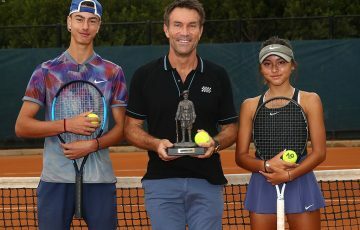 He recently claimed the mantle of the No.1 Australian male player, as well as being nominated as a finalist for the Newcombe Medal, a prestigious award presented to the most outstanding elite Australian tennis player throughout the previous season. Matosevic said he felt truly honoured to be recognised by his fellow competitors as the most improved men’s player in the world. 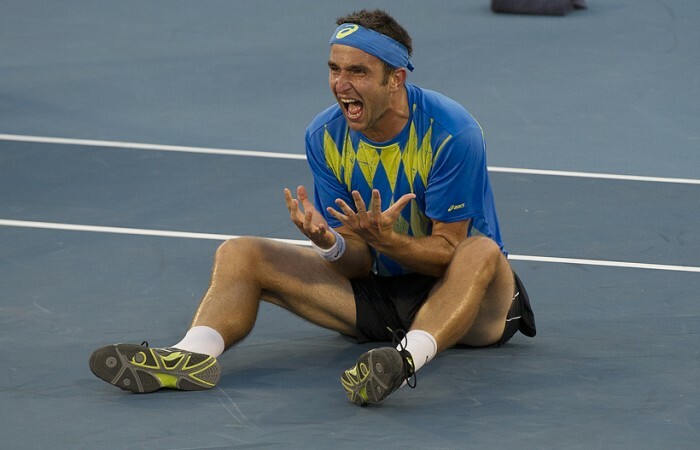 Yet as for becoming Australia’s top male player, his reaction was slightly more reserved. 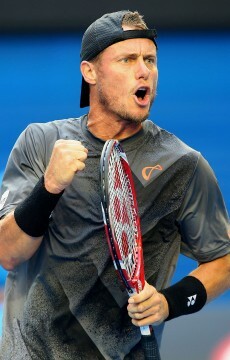 “I think as long as Lleyton’s still playing, he’s the real No.1. I think that’s how most people feel about it,” he said. Matosevic revealed that Hewitt had been the source of much guidance, advice and inspiration in recent times, coinciding with his career-best season. 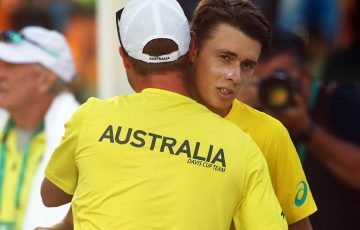 The two of them practise together at every tournament they jointly contest, and Matosevic has spent time at Hewitt’s residences in both the Bahamas and in Sydney. 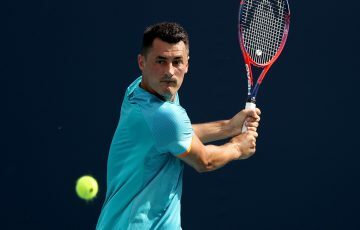 Matosevic said he is always asking the two-time Grand Slam champion questions, and had learned an enormous amount from watching Hewitt train and prepare for matches, as well as his approach once on the match court. “I just try to absorb as much information from him as possible,” he explained. Also assisting the Victorian in his rise up the rankings has been the establishment of a stable and respected support team. In addition to Eagle as coach, this includes fitness trainers Aaron Kellett and Mark Waters, and sports psychologist Anthony Klarica. 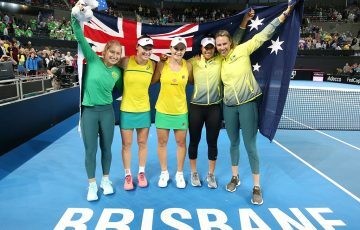 Matosevic said that each member of the team had helped in their own specific way, and contributed to him feeling more settled and in control throughout the past year. And judging by his results, it’s obvious that they’re doing a good job. After years toiling on the Challenger and Futures circuits, the then-173rd-ranked Matosevic enjoyed by far his best result at ATP level, qualifying for the main draw at Delray Beach in February before defeating two top 50-ranked opponents on his way to the final. 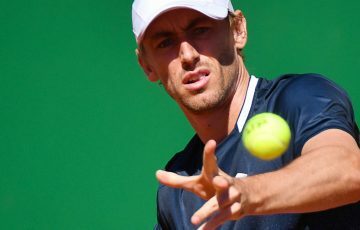 With both his ranking and belief boosted, the Aussie rode this wave of form throughout the rest of the year, later winning the Athens Challenger – a result which saw him crack the top 100 for the first time in his career – and successfully qualifying at a further five ATP events. 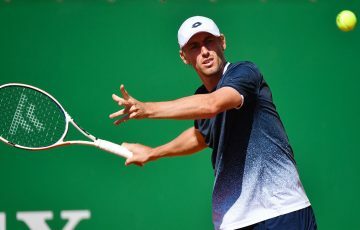 A semifinal result in Los Angeles as well as quarterfinal finishes in Munich, Eastbourne and Vienna (all ATP events) helped him peak at a career-best mark of No.47 in October. The current world No.49 said these performances had imbued him with confidence. “(I have) the belief on the court (now) I’ve beaten a lot of players in the top 50. I’m on the tour now and I feel like I belong,” he said. The next task for Matosevic is to improve his record at the majors. The Victorian has a win-loss record of 0-7 in Grand Slam main draw matches, although he did come extremely close to breaking the duck when he led No.12 seed Marin Cilic by two-sets-to-love at the 2012 US Open. Yet a main draw win could occur very soon with Australian Open 2013 fast approaching. Matosevic will prepare for the year’s first Grand Slam with a scheduled appearance at the lead-up event in Brisbane, refreshed thanks to a skiing holiday in Europe following a gruelling year. The Australian is acutely aware of the “sophomore slump” phenomenon that affects many a player after a breakthrough season, and said he had discussed this with both his team and fellow players to help alert him to the factors that could possibly prevent a prosperous 2013 season following his excellent 2012. “You’ve just got to do the same things, if not work harder than before, and just keep believing that better things will come,” he said matter-of-factly.